Help the rat catcher Tengu and earn the Ashina Esoteric Text by learning where to find the rats in Sekiro: Shadows Die Twice. You’ll encounter a range of unusual people in Sekiro: Shadows Die Twice, and while most of them want nothing more than to kill you, several NPCs will offer you missions instead. 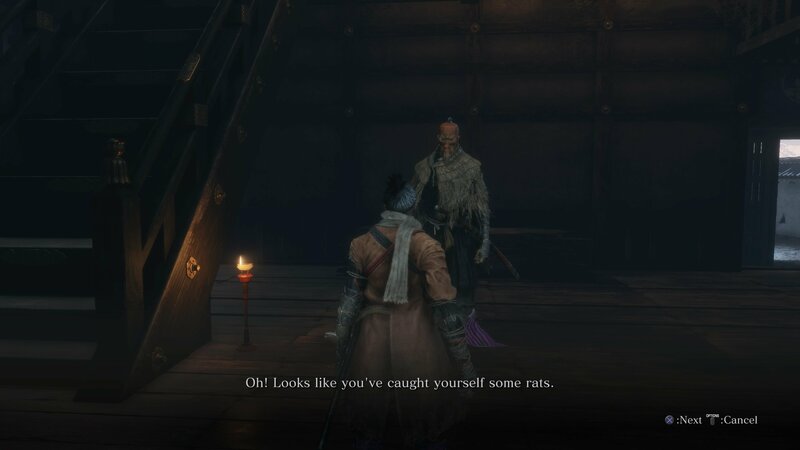 If you’ve defeated horse rider Gyoubu Oniwa, you may have found the Tengu nearby who asks you to join him in hunting rats near the Ashina Castle gate. You probably don’t want to say no to this rather terrifying figure, but knowing where to find the rats is another matter entirely. This quest is well worth completing though as you'll be rewarded with a new Esotetic Text, giving you more combat skills to purchase. 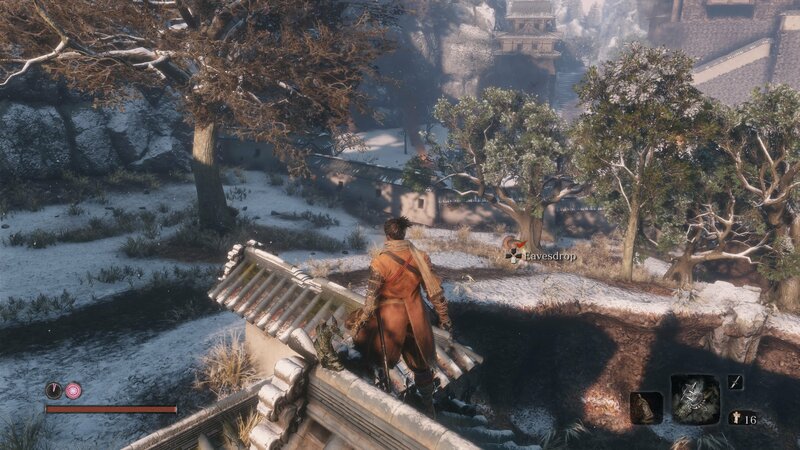 In case you’re not sure where you should be looking, this guide will help you find the Rats in Sekiro: Shadows Die Twice. Describes the rats as assassins from Senpou Temple, short in stature and wearing bamboo hats. This should give you a clue that it’s the short, dagger-wielding poison assassins you’re after. These fellows are a pain to fight thanks to their hats blocking sword swings, but a simple swing of the Loaded Axe will be enough to shatter their defenses and leave them open to a death blow. The particular rats the tengu is asking you to hunt can be found shortly beyond the Gyoubu Oniwa boss fight arena. From the Ashina Outskirts - Ashina Castle Gate Sculptor’s Idol, head uphill toward Ashina Castle. Kill the lone rifleman ahead, then grapple up on top of the gate. From here, turn to the right and you’ll see several of the small fellows gathered near a tree. You can eavesdrop on them to find out about Isshin's illness and the location of Blackhat Badger, the merchant who sells the Loaded Umbrella shinobi prosthetic tool. You only need to kill one of them for the Tengu’s quest, but you might as well beat them all for the sen they’ll drop. Watch out for their leaping attacks, dart throws and poison spit attacks. Alone they aren’t much trouble, but if you fight multiple at once they can quickly deal a lot of damage. Once the “rats” are dead, head straight back to the Tengu without resting at a bonfire. Speak with him to complete the quest and receive the Ashina Esoteric Text, opening up a new set of combat skills to learn. 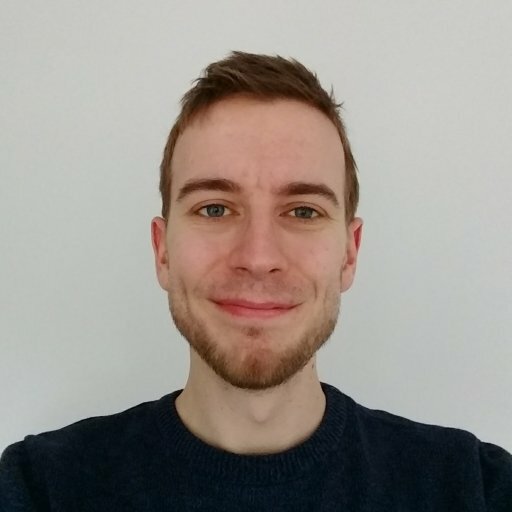 Looking for more Sekiro: Shadows Die Twice tips and tricks? We can help you find a tough man for the creepy fellow in the Abandoned Dungeon, and point out all the shinobi prosthetic tool locations to make sure you’re well equipped.